​:​* Selling with a Realtor you ​will ​spend a lot le​ss​​ time marketing the sale of your home​. The Realtor will handle showings​ with potential buyers,​​ scheduling professional photographers for ​pictures​ that will help aid in the sale of your home​, marketing​ to numerous websites, assisting in the negotiating of an offer to purchase your home and much more. ​* You will actually​ ​receive more exposure to potential buyers by listing your home for sale with​ a Realtor because they have​ ​access to marketing opportunities ​that​ are not available to you, such as the Multiple Listing Service​. More importantly, your home will only be viewed by potential buyers that are escorted by your Realtor or other Realtors, ensuring safety and security for your family. The safety and security is the most important point in today's crazy world of scammers and would-be theives. A professional Realtor will have a protective lock-box that insures a digital register of who has entered your home. * Another benefit to choosing to use a Realtor is that you as the seller will not be putting money out up front. Sales commissions are paid when the sale closes and all contractual obligations are met. 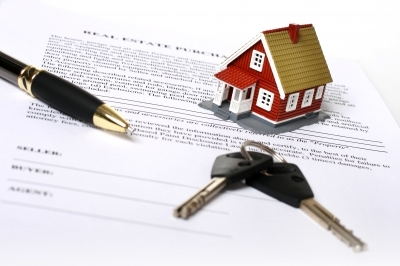 Your broker will instruct the closing attorney to handle all of the closing details. * ​Be sure you have a plan on where you will move after your home is sold. If you are in the same area, your Realtor can help you find your next home. ​ This is what your Realtor does everyday and he or she know​s​ what is available for sale and available for you and your famil​y to ensure a seamless transition from one home to the next. * ​Your Realtor is there to guide you through legal requirements set out according to the sales contract. ​​Occasionally, mistakes are made that wind up costing more than originally planned. Your Realtor will be there to assist in making the sales transaction smooth and as painless as possible. The listing Agent will protect you from the liability of a buyer suing for unknown problems or issues that can occur after the sale. Selling your home can be stressful enough without trying to do it yourself. I know being able to talk to a professional about situations that arise is a much needed comfort in selling your home. ​REMEMBER...​I ​​am here to​ assist you with all your needs, "You've Got a Friend in Real Estate"